No matter the application, I’ve always had three issues with MSIs. First,editing the MSI is a pain. Orca makes this a little less painful but the tool is starting to show some age. Second, distributing drivers with the original MSI is nearly impossible! Most of the time, the solution is using a mixture of DEVCON/PNPUTIL or a deployment share. Finally, custom actions (such as activations or follow-up procedures) have to be manually ran or deployed with Group Policy. There isn’t a simple way to embed these into an MSI. There is one easy free solution to all of these issues. Today, we are going to use Scalable’s Smart Packager to make your MSI maintenance simple. To follow along with this article, download Smart Packager and grab an MSI to work with. If you don’t have one, 7-Zip always makes a good test subject. 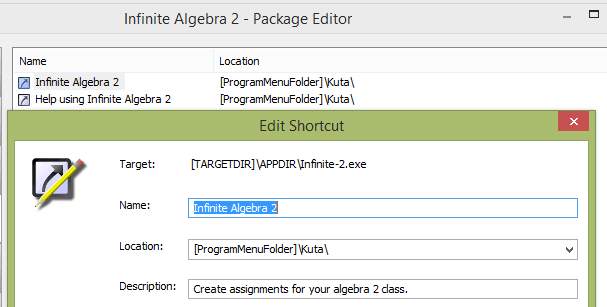 Once installed, launch Smart Packager and select the Package Editor Tab. You will be prompted to add an MSI into the Package Editor. Browse to your MSI and add it now. Now that Smart Packager is installed and ready to edit an MSI, double click on your listed MSI to tackle your first problem! I don’t like it when technology tells me what to do. I ignore three things in particular: red lights, low fuel warnings, and that dang “You Must Reboot Now!” message after installing an application. MSIs are not known for their formality or grammar. In most cases, ignoring technology won’t fix the root problem. Deploying applications that reboot automatically can cause some big issues in your environment. These installs can break your imaging process (if you are using MDT) and reboot users without warning. In today’s guide, we will cover two ways to stop a MSI from restarting your machines.